You roasted well old friend. 5-6 years of roasting fun. Last run - 1.7Kg in 3 batches. Decent innings! You could MacGiver a fix with a couple of screws and washers. Or it might be just fine without. Regardless a replacement I think is quite cheap. Will see what I can come up with. Might see if I can find my old bread maker as well. Will need to recreate the bucket cooler if that happens. Dangerous trip to Bunnings = spending spree on unbeknownst "needs"
Andy sells replacements. I had mine replaced last year, didn't cost that much. Thank you for the heads up Dan. I will inquire to Andy about replacement. 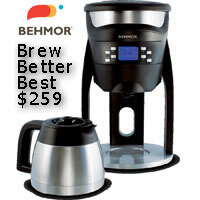 I wouldn't mind dual Behmor Roasters so maybe a new drum to get the old one going and a new model with more controls. Full disclosure: I had been for some time been shaking the beans in the drum post-roasting to further de-chaff and cool them. (Does a good job). So I can confirm these drums are well made and have gone above and beyond. 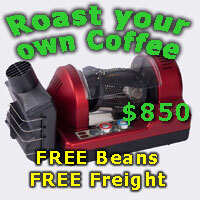 I assumed everyone shook the beans in the drum post roast to help de-chaff a bit? It works very well Lemoo. Enjoy. I doubt it was the shaking that caused the vane to come off. Not much mass in there. Probably just unlucky the weld let go. Andy has nicely priced replacement drums 論 so I should be back up and roasting again in no time. Good work. Andy has lots of nicely priced stuff!! Javaphile and matth3wh like this.